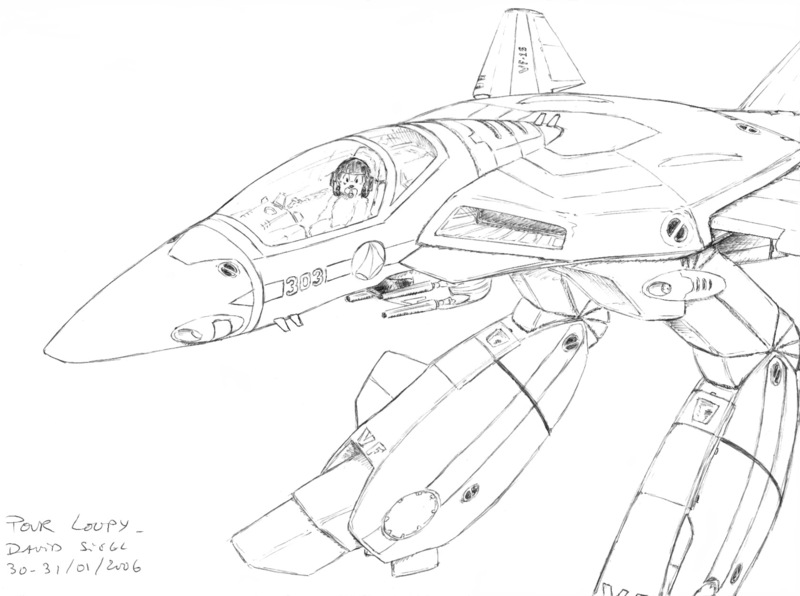 Here I am in a Valkyrie from Macross. It'll be the last pic posted on inkbunny until I get new art. You call it a Valkyrie, I call it a Phoenix Hawk Land-Air-Mech. Battletech Forever! You call it a Valkyrie, I call it a Phoenix Hawk Land-Air-Mech. ‌Battletech Forever! No, but the same vehicle. Eons ago, Fasa licensed the use of various anime mecha designs for their newly-created Battletech game. The Robotech/Macross Valkyrie was one of those licensed designs. So you call it a Valkyrie, I call it a Phoenix Hawk LAM. If you look it up, the toy was used for the transformers Jetfire long before that. Hmmm... Pretty sure Battletech's use pre-dates the Transformers one. Jetfire originated in '85, Battletech in '84, and Super Dimensional Fortress Macross was '82. But still, three years apart, and this same design is used in three different settings. Gotta say it's popular for sure. The artist do quite a lot of those. he posts on fa, but most of his artwork is mecha unrelated to any serie.